The heart of media and communications not just for the UK but the European continent, London is the logical location for our office servicing these markets. Capstone Hill Search's UK headquarters at 8th floor, 9 Appold Street, sits in the epicentre of the communications industry, enabling our team to interact and network daily with the best and brightest in the industry and provide informed personal counsel to our clients. 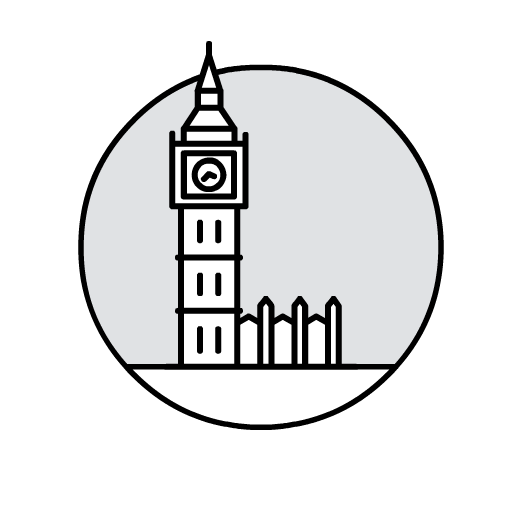 From our UK, Ireland and European hub in London, Capstone Hill Search provides selection of PR jobs London, but also a specialist insight, knowledge, counsel and support to clients and candidates across the European continent. Rapidly expanding our networks since launch in 2011, we have established exceptionally strong and experienced consulting team and with it an outstanding reputation for quality of service and senior counsel. Our team consists of senior public relations, communications, integrated marketing and digital industry experts, recruitment and talent acquisition professionals with extensive networks, knowledge and experience of entire continental market. We are proud to be the only recruitment partner of the PRCA and ICCO.